If your hairbrush is clogged with hair strands every day you need to consider taking care of your hair to prevent hair loss. Hair loss can be attributed to by so many factors including age, stress and illness. There are a few things you can do to control hair loss. A good diet is essential for a healthy body including healthy hair growth. Hair strands are primarily made of proteins making them one of the most important nutrients in your diet for stimulating hair growth. Foods that are rich in proteins such as milk, beans, nuts, fish and chicken should be part of your daily diet for healthy hair. Lack of iron in your body can also contribute to hair fall because the hair weakens from the roots. Foods such as red kidney beans, fish and soybean can increase your iron intake for healthier hair. Freshly permed and straightened hair looks amazing no doubt and having that fresh look can be quite addictive. Only problem is it will cost you with time. 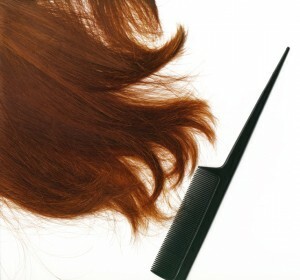 Too much straightening, perms, coloring and blow-drying hair weakens it with time and eventually leads to hair loss. You reduce the number of times you need to straighten or blow-dry your hair by using silk pillowcases and wrapping up your hair at night. When it comes to safe hair styling products, go to a salon with a good reputation on hair care like Clayton Hair Salon. Coconut oil should be part of your hair care regime. Using coconut oil on your scalp helps to strengthen growing hair from the roots to the tip. It also contains moisture that protects the hair shaft from impurities, which normally causes hair damage. Head massages can also help grow strong hair. The massage improves circulation of blood in the vessels in the scalp, which makes your hair follicles more active. You can use natural oils such as coconut, bay essential oil, almond oil or sesame oil to massage the scalp. Impurities in your hair are likely to lead to more hair fall. You should buy good quality shampoo. You can ask your trusted hair stylist in Clayton NC for recommendations. Make sure to choose those products that would free your hair of the dirt without stripping it of natural oils and leaving it dry and brittle. Shampoo your hair from the scalp and roots and concentrate the conditioner on the ends of your hair. Wrap it up when going to bed or when involved in outdoor activities that could allow a lot of dirt to get into your hair. Is Your Hair Giving You Fits? Check Out These Ideas!